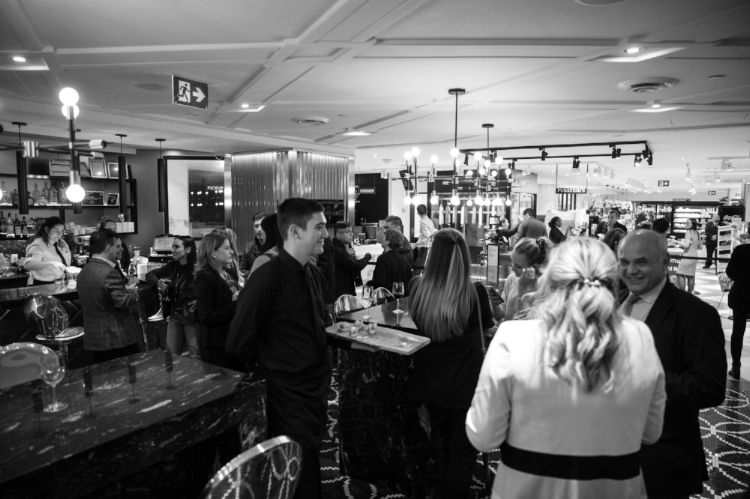 Pusateri’s Saks Food Hall has welcomed Puerta Del Sol into their elegant space in the Champagne Bar. Pusateri’s selected the Spanish Tapas Gastrobar to join them in collaboration, seeing an opportunity to bring an authentic european culinary experience to Torontonians. Until now, the space has been used as a platform for Pusateri’s to launch partnerships with famous restaurants and chefs, and so for the following season, Puerta Del Sol will be in the downtown core. Puerta Del Sol is named after the most central square in downtown Madrid, where all of the roads begin at kilometre zero. Its literal meaning is “Gate of the Sun,” which the owners believed would bring warmth to the PATH and suited the gold accents of the Champagne Bar perfectly. The name Puerta Del Sol was given to this restaurant because of its iconic meaning. It is where spaniards gather to celebrate and bring in the new year among other momentous events. Fans of european food, Spaniards who miss the flavours of home and jet-setters who have visited the country and fell in love with the cuisine will be delighted to find that an overseas trip need not be in store to enjoy in these Spanish delicacies. A team of Spanish chefs have flown into the city to ensure the tastes are authentic. Select menu items served at the event included carved Iberian ham, pulpo al Gallego, Spanish omelette and croquettes made with Iberian ham. 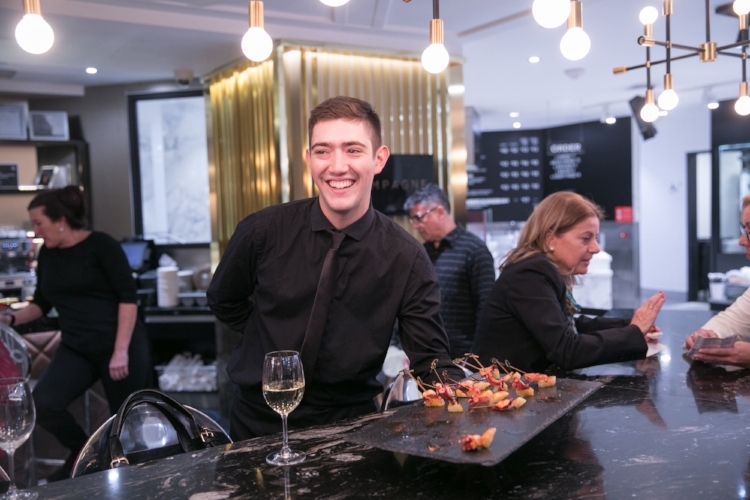 The team at Puerta Del Sol is proud to bring more than just Spanish food but is also dedicated to paralleling the warm and vibrant culture that Spain offers. Thus at the launch event, a live guitarist was enjoyed by the crowd and passersby. Attendees included key guests from the Consulate of Spain, ET Canada, CP24, Huffington Post and more. If you missed this launch event, you’ll be glad to know that you can visit the gastrobar to try it for yourself until Spring. Expect events including flamenco, live Spanish music and exclusive wine and tapas nights. Sign up with your best email address to be the first to hear about events and promotions.